A special Congratulations to Student of the Month for November, Senior Student Kiarra Degraffenreid. 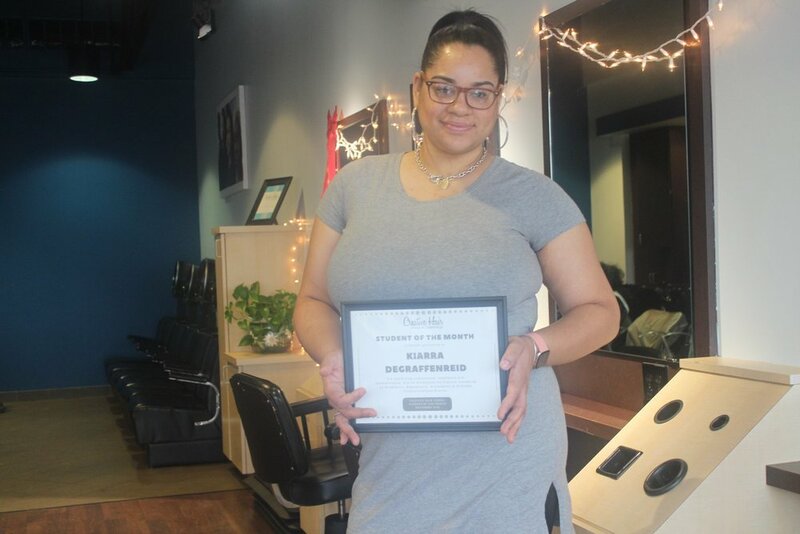 Kiarra has shown consistent growth as a student stylist, dedicated to learning, very dependable and takes great pride in her education. Academics, Attendance, Appearance and Attitude, she has it all working in her favor and is well deserving of Student of the Month. Congratulations Kiarra! This is your season, this is your time.